The Maple Area Residents Inc., or MARI, objected to the commission’s “conceptual approval” of the developer’s plans, citing concerns with the additions to the original building. Saying he’s “been advised that we can’t just send it back to HDLC,” District A Councilman Joe Giarrusso moved to deny the appeal. 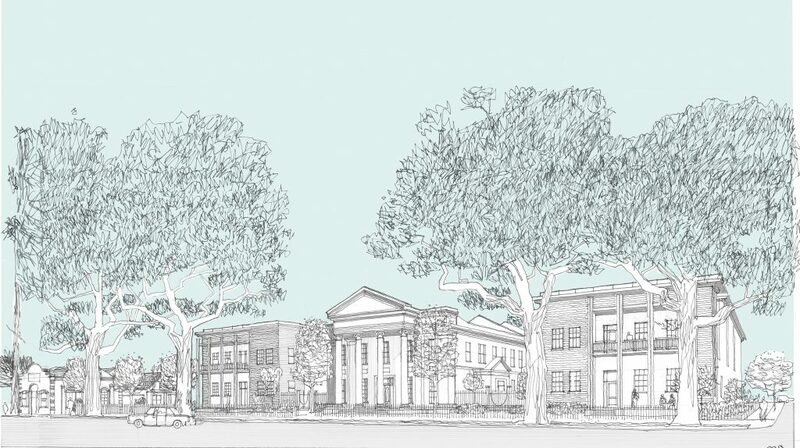 But he added two conditions that could lead to revisions to the plans for a building that is considered the district’s most historically and architecturally significant. The other council members agreed. The developers will be getting more community input at a second neighborhood participation meeting, and then the project will head back to the HDLC’s Architectural Review Committee. The project’s lead architect has agreed to these conditions, Giarrusso said. Keith Hardie, MARI’s vice president, stated in the appeal to the council that the HDLC violated its own guidelines when it approved two wings added on either side of the courthouse. Those wings will house the facility’s residents. The additions, Hardie said, overwhelm the historic courthouse and are out of scale with the surrounding neighborhood. Hardie said on Tuesday he doesn’t believe any additional review will lead a change in the massing of the building. He is looking into appealing the issue to the Orleans Parish Civil District Court. “In a project of this importance, and considering the scale of the proposed additions, there may be further appeals,” he said. The Architectural Review Committee considered the controversial additions when the project first came up for review in November 2018, said Elliott Perkins, the HDLC’s executive director. “The ARC voted to defer action on this application for additional review,” Perkins told the council Thursday, “but commended the owners for taking on such a unique and important property. Their concern was that the additions be set back from the front wall of the courthouse.” They also wanted the design of the two wings simplified, to respect the original building’s design. When the revised plans were unveiled at a neighborhood meeting on Dec. 17, some residents still objected to the scale of the two wings, now set back about 5 feet farther than in the original plans. The project’s lead architect, Mac Ball of Waggoner & Ball, said that reducing the size would lower the ceiling height in the residents’ apartments to an unacceptable level. Ball then called attention to several design features, such as large terraces, that are meant to make the buildings appear smaller. The next day, the project came before the ARC again. The committee found the design “vastly improved” and voted for conceptual approval, Perkins said. A few items still need to come up for review — such as the ceiling height, the height of the facade’s columns, and the door and window surrounds. Given these concerns, the HDLC’s commissioner for the Carrollton historic district, H.V. Nagendra, moved to defer the issue when it came before the commission on Jan. 9. That motion narrowly failed. The HDLC ultimately voted 8-2 to uphold the ARC recommendation. A few weeks later, MARI filed its appeal to the City Council. “Why are we pretending to be a tourist city if we sell off our significant assets to the highest bidder to be obscured by new construction?” Hardie said Tuesday. A visitor passing by on the streetcar would not be able to appreciate the Greek Revival building, he said, if it is overwhelmed by the contemporary additions. From the side, he said, the original building is obscured. 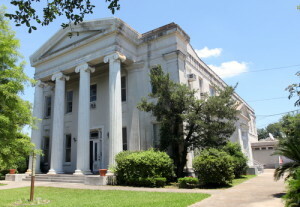 Michael Duplantier, board president for the Louisiana Landmarks Society, said his group has been involved in preserving the Carrollton Courthouse since it was threatened with demolition in the 1950s. It backed MARI’s appeal. The building dates to 1855 and was designed by Henry Howard not long after he worked on the final designs for the Pontalba Buildings in the French Quarter. It served as a courthouse and government building until 1874, when the town of Carrollton was annexed by New Orleans. The building then housed a series of public schools until 2013, when Audubon Charter moved out. That designation spurred action by neighborhood and preservation organizations. Hardie and other activists worked to try to keep it in public hands, fearing any commercial use would drastically expand the footprint. They contacted then-Mayor Landrieu, Lt. Gov. Billy Nungesser, U.S. Rep. Cedric Richmond and others to see if the city, state or federal government would buy or swap the land with the Orleans Parish School Board, which was spending around $100,000 a year to keep it insured and minimally maintained. Forums discussed its potential as a library, parks offices, city archives or museum space. A group of Tulane University architecture students came up with some ideas — an event venue, a community center, a university-affiliated building arts school. The Louisiana Landmarks Society wanted to transform the building into a French cultural center housing the French Consulate in Louisiana, Alliance Francaise, a New Orleans branch of CODOFIL and the French-American Chamber of Commerce. “The worst case scenario for historic preservation and assuring that the property stays as a benefit to the community is to auction it to the highest bidder,” Stokes of the Landmarks Society said in an appeal to Nungesser a week before it went up for auction. In March 2017, Colonial Oaks Senior Living, a Houston-based developer, bought the building at auction from the Orleans Parish School Board for $4.7 million. Colonial Oaks CEO Carl Mittendorff and others in the development group have vowed they will respect and preserve the stately building.